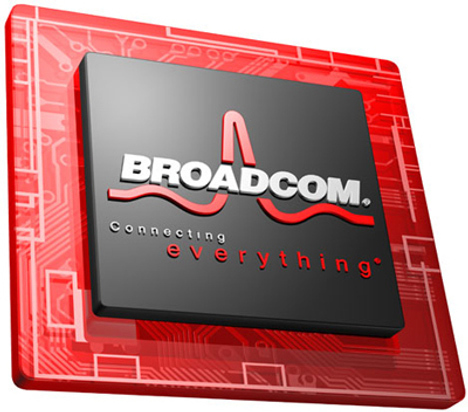 Broadcom's Executive Vice President talks China, MediaTek and the future of mobile! In a world which is dominated by processors with Snapdragon, Exynos and even the letter A before a single digit number in their titles, it's surprisingly easy to forget that there are more than just three companies out there who design or make their own mobile processors. The other week we heard that ST-Ericsson will be heading out of business, but there's other companies with their hands in the game. Three others which spring to mind are, Nvidia, Texas Instruments, Mediatek and Broadcom. It turns out that the last of those four, Broadcom, is responsible for the processors which run Samsung's Galaxy Grand and their Galaxy S2 Plus devices. Obviously these guys don't really have the same sort of brand recognition that someone like Nvidia would, but their Executive Vice President, Robert Rango, recently had an interview with Digitimes and he said some interesting things in that discussion. The one of the main strands of the debate was about Broadcom's plan to push hard in the Chinese market. Key to this was the recently 'acquired R&D team', a team capable of "enabl[ing] mobile phone makers with a R&D team of 45-60 persons to complete the design of one smartphone model within one month, compared to the need of a 300-member team and a workload of three months for the completion of the same job in the past". This tiny timescale is put down to the reference designs which the R&D team are busy coming up with which make everything a lot easier for venders. Obviously with this investment in China one of their key competitors immediately becomes MediaTek. Rango doesn't think that his company is "lagging behind" them, which is debatable, instead he points to longer-term partnerships with both Samsung and Nokia. The phones from Sammy and Nokia have gone around the world which Rango suggests makes Broadcom slightly more successful because they're not region specific, but we're not necessarily sure we agree on that one. There was also an interesting remark about the future of the mobile market. Rango said 'More and more smart devices are likely to enter into the market in such forms as smart watches and smart glasses' and this is something which he believes his company can play a big role in. The whole thing is well worth a read if you're interested in this sort of thing and you can find the full interview here!